Any idea what`s going on here? Wow! I think it’s time delayed fireworks. 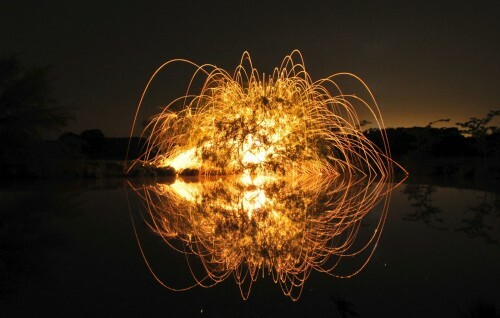 Looks to me like someone attached a lot of fireworks to a tree near a lake and launched it.